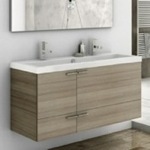 We have just received this vanity and we absolutely love it! 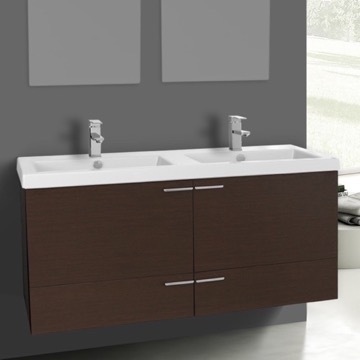 We have purchased it in Grey Oak and one thing we do want to point out is the color is darker than on the image but it still looks great. 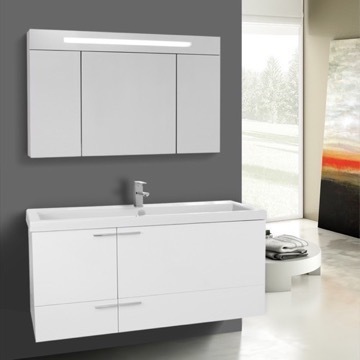 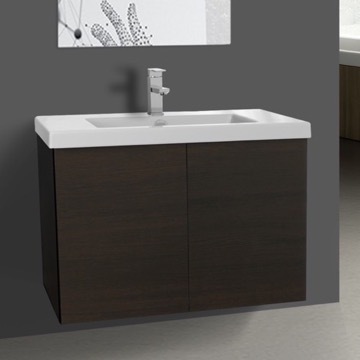 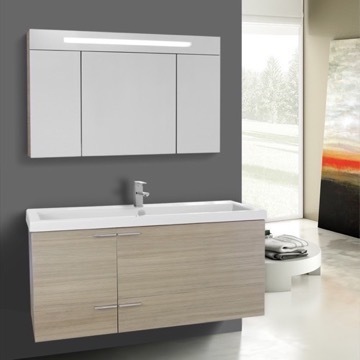 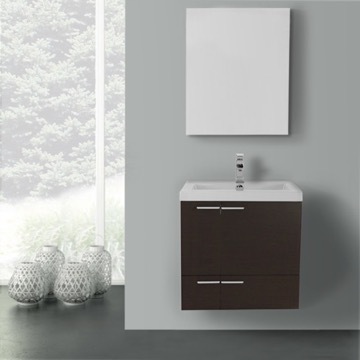 This vanity is perfect for someone who is looking for a double sink vanity effect but does not have the space to do so, this is a great substitute. 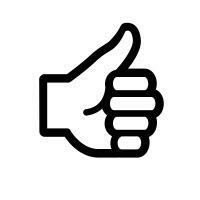 Great service, fast delivery answered all of my questions and helped with my order. 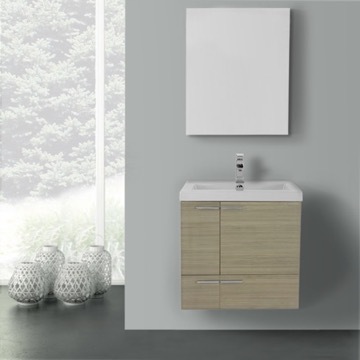 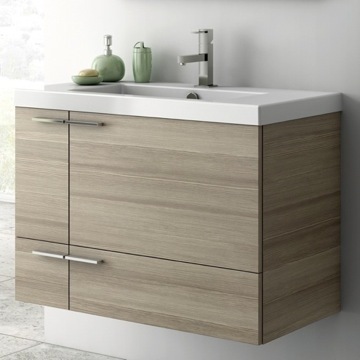 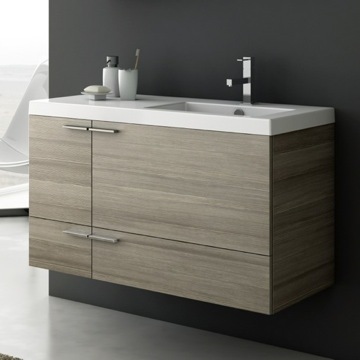 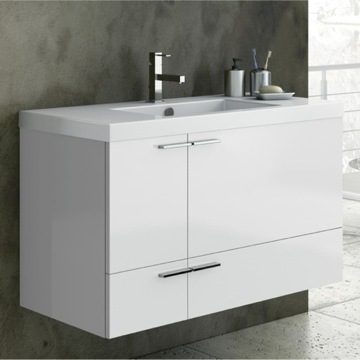 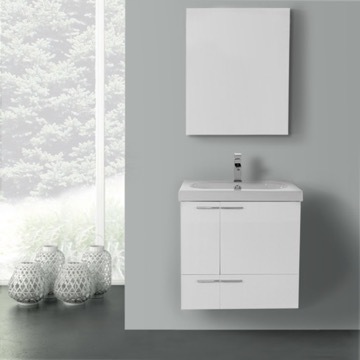 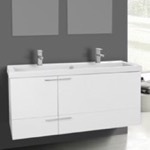 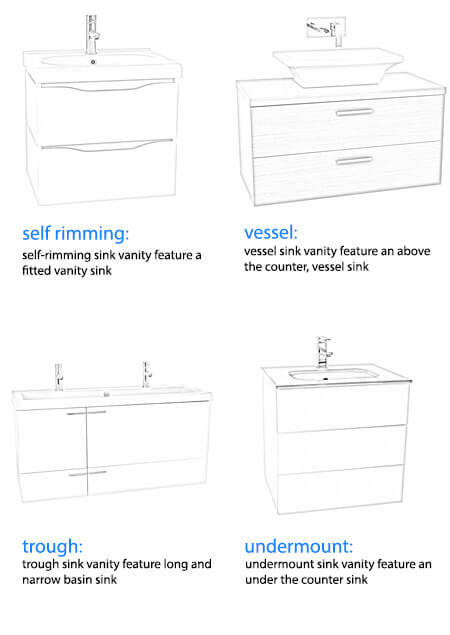 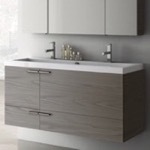 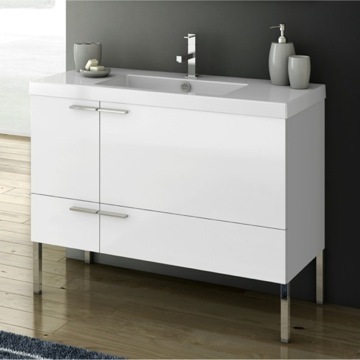 Is the vanity cabinet available to purchase without the fitted sink? 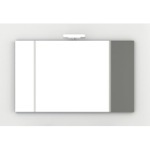 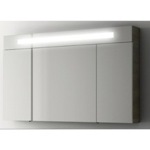 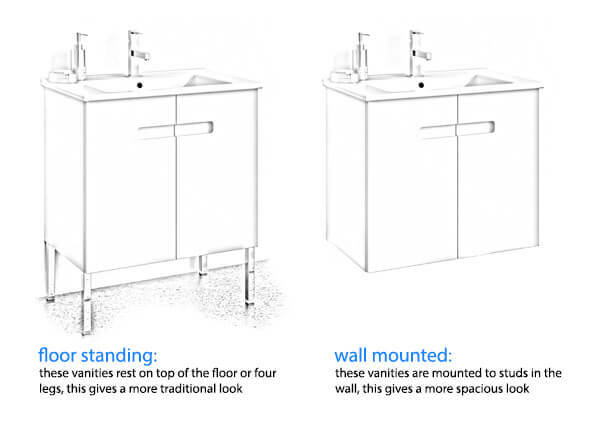 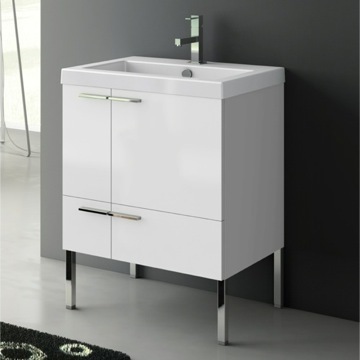 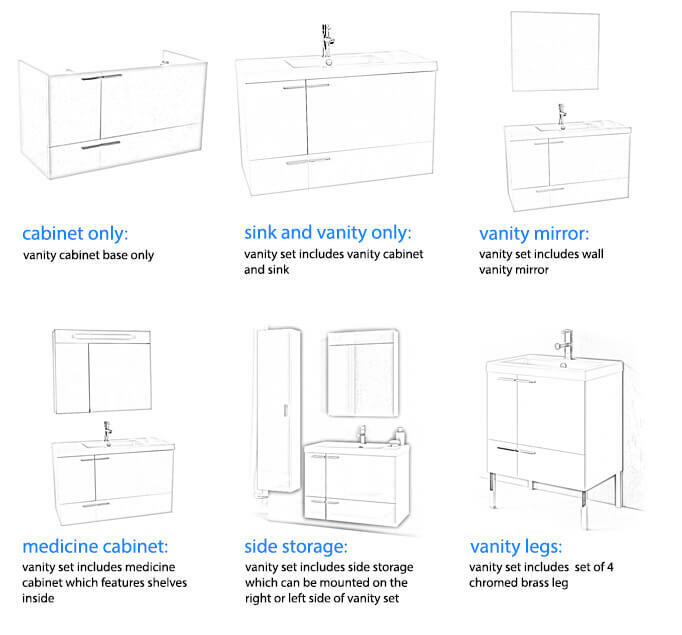 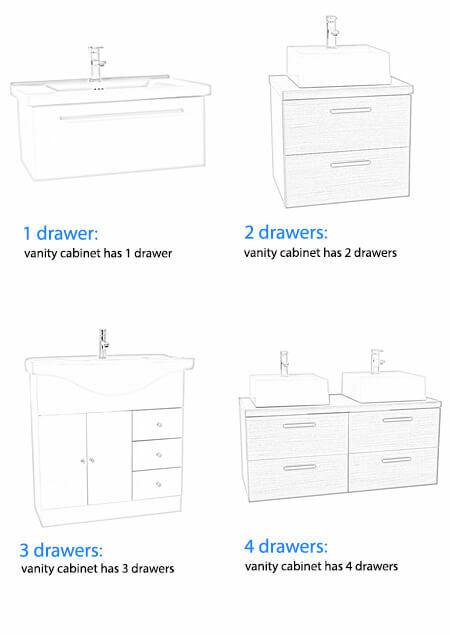 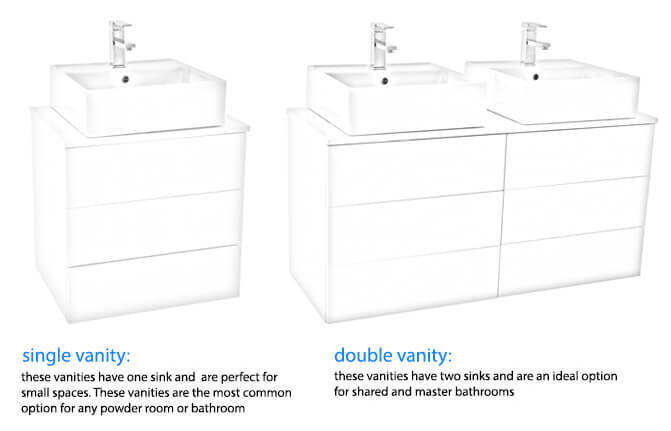 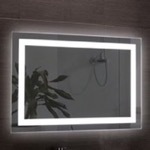 Yes, the vanity cabinet can be purchased separately, ACF L412GO. Is the waterproof veneer paneling a foil product? 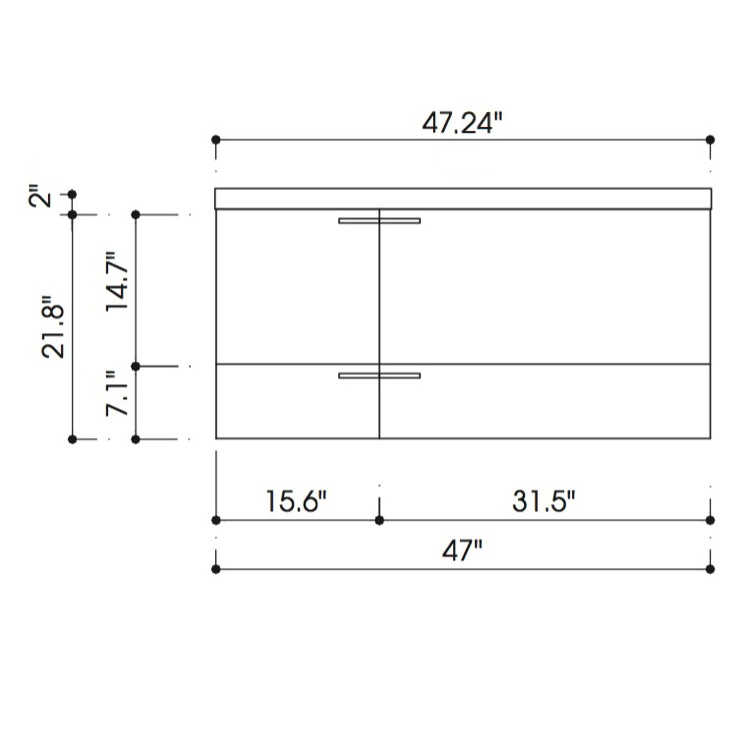 No, this is not a foil product. 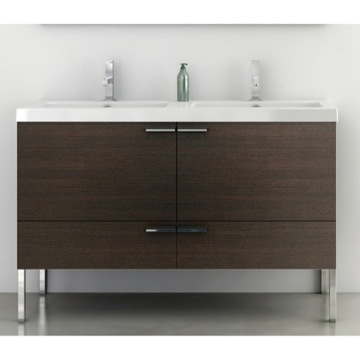 This vanity is made of MDF (medium density fiber) engineered wood paneling with a waterproof veneer paneling. 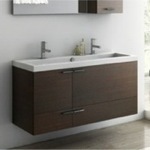 The waterproof veneer paneling is made of MDF as well. 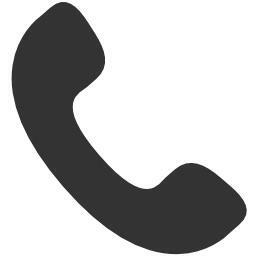 If you would to receive samples, please contact our customer service representatives and we can assist in sending these out to you. 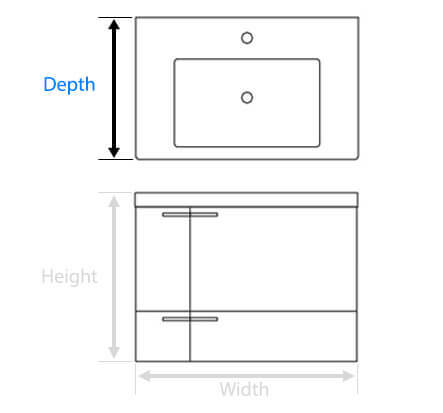 What's the distance from the faucet hole to the center of the trough? 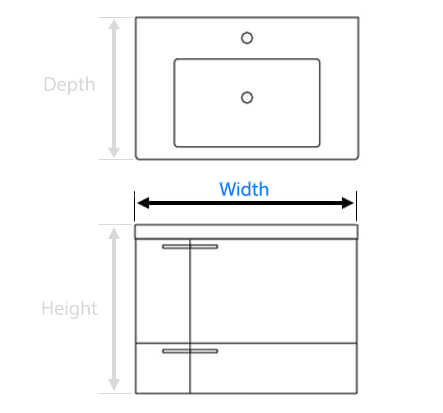 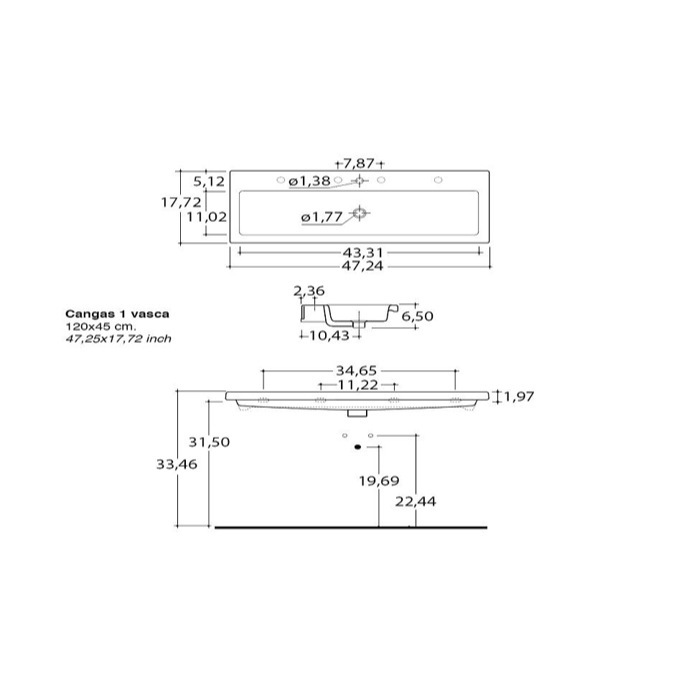 The distance from the center of the faucet hole to the center of the trough is 7.25". 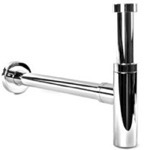 What size are the holes for the faucets? 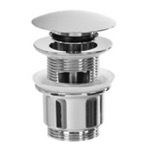 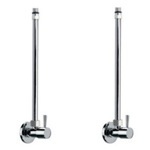 The faucet holes are a standard US plumbing size at 1 3/8" diameter. The specification desribes it as engineered wood. 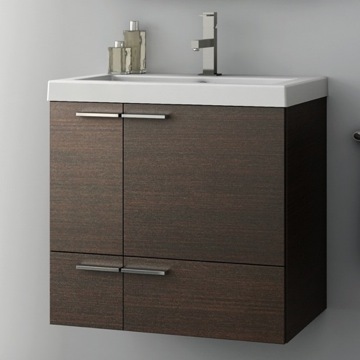 Is that a wood veneer? 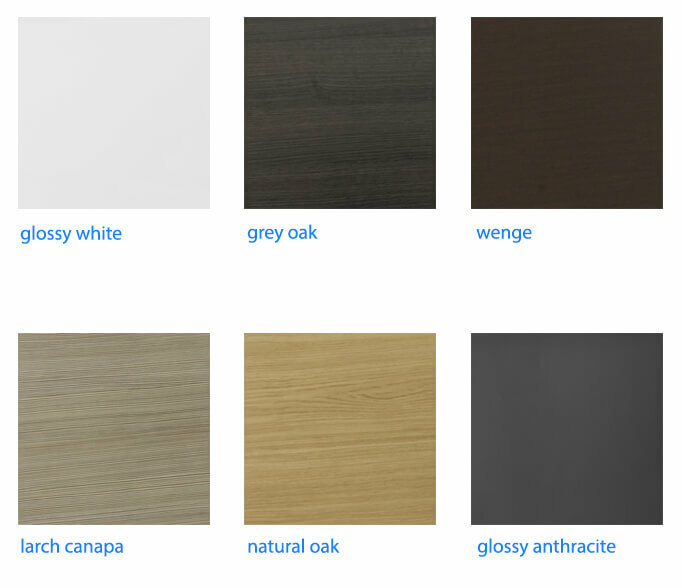 We are interested in the Larch or Grey Oak. 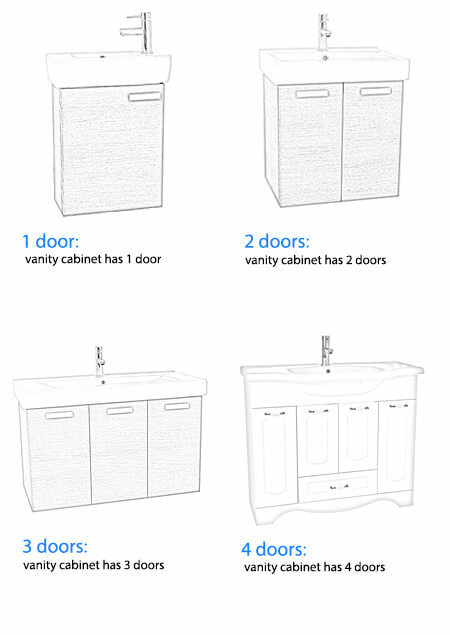 Also, how is the finish treated to make it water resistant.